Pleased to finally have this article published with Dr Ed Cope and Dr Richard Bailey. Cope, E., Bailey, R., & Parnell, D. (2015). 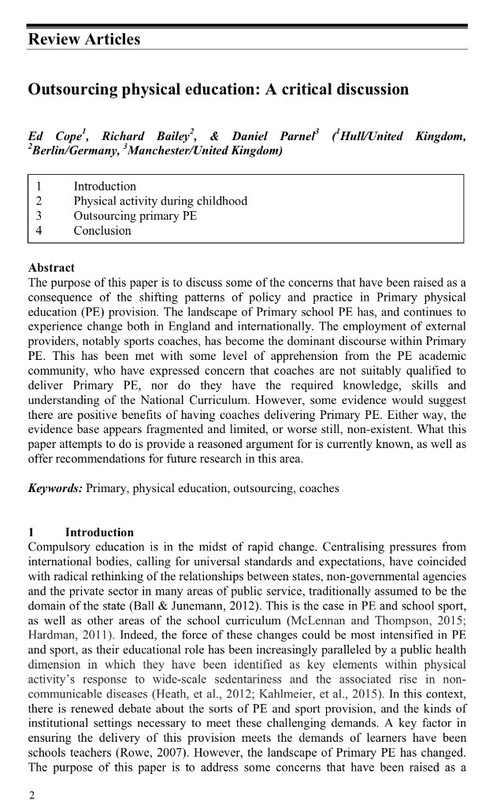 Outsourcing physical education: A critical discussion. International Journal of Physical Education, 52(4): 2-11.